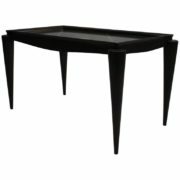 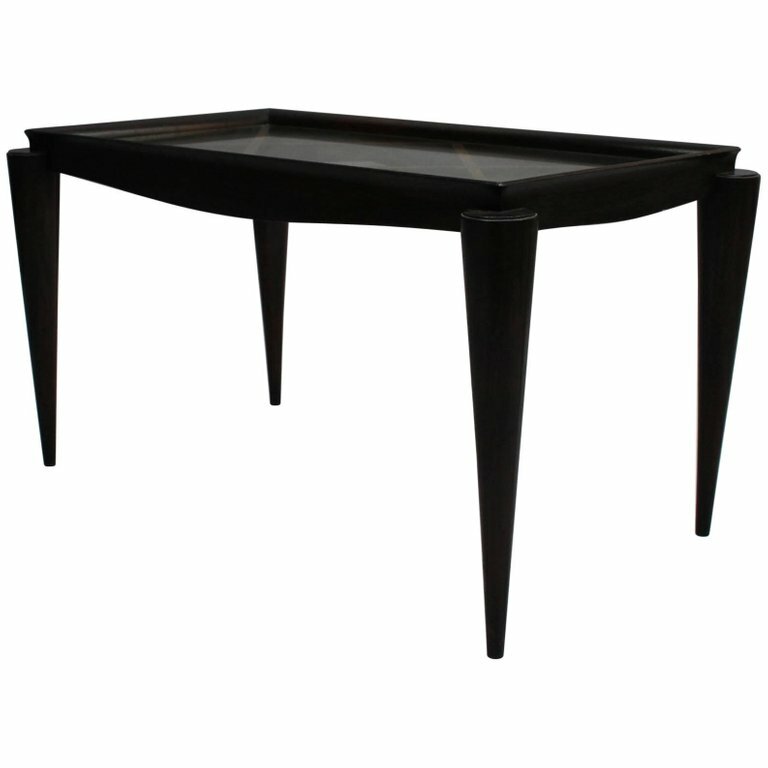 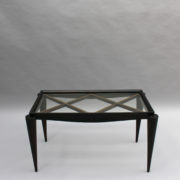 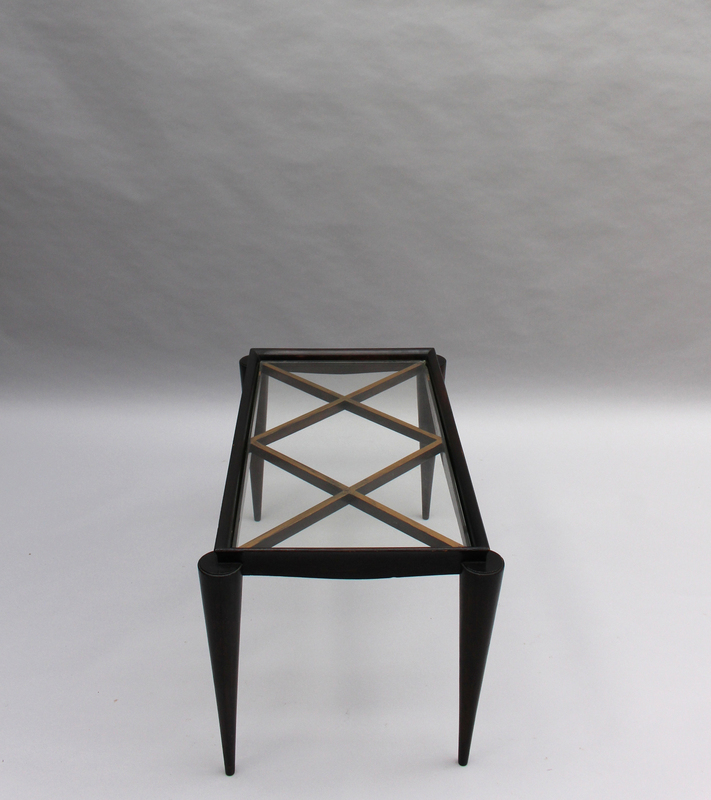 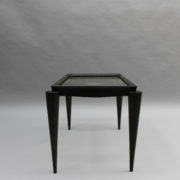 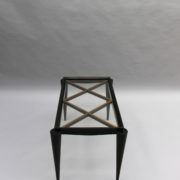 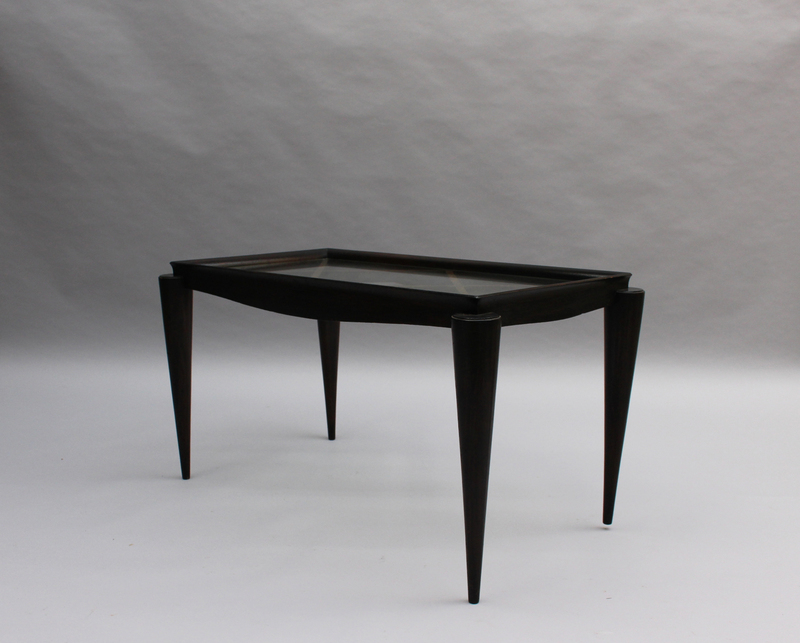 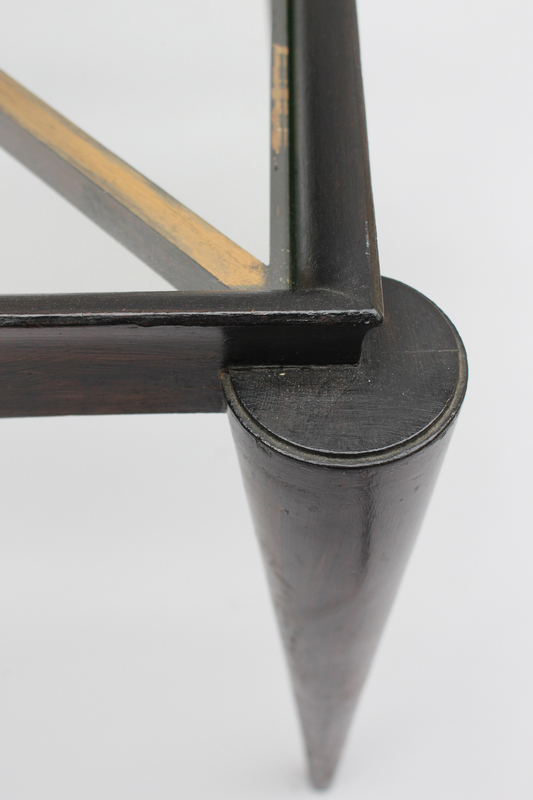 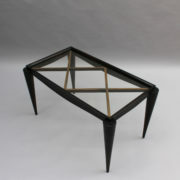 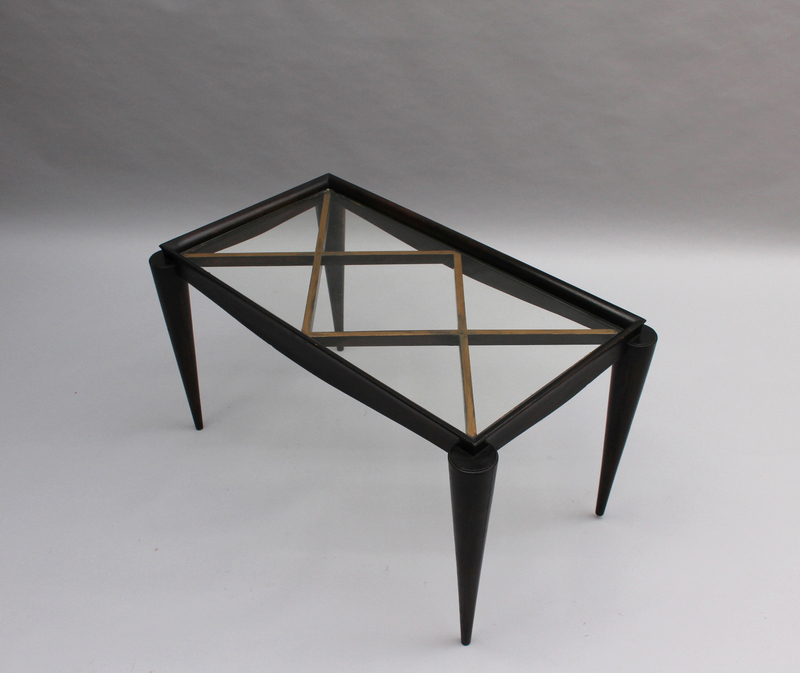 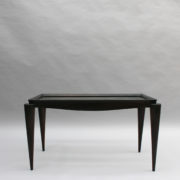 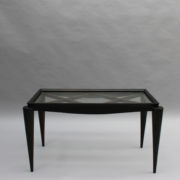 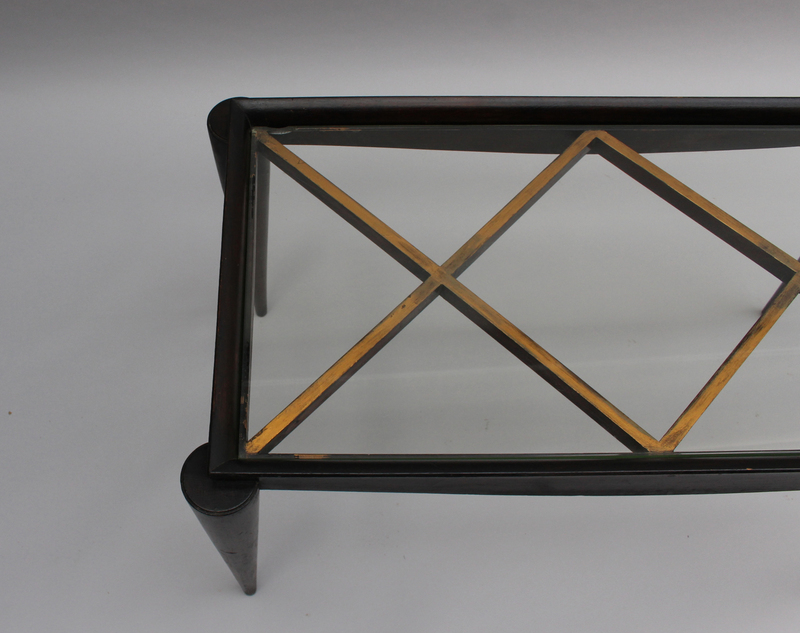 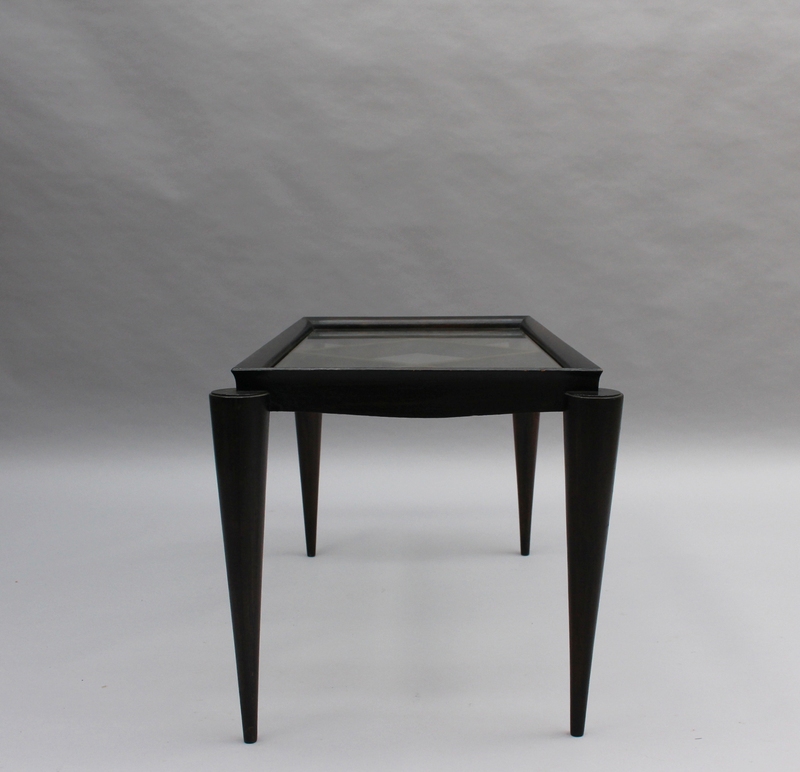 On a black lacquered base with four conical legs which holds a gilded latticed frame supporting a glass top. 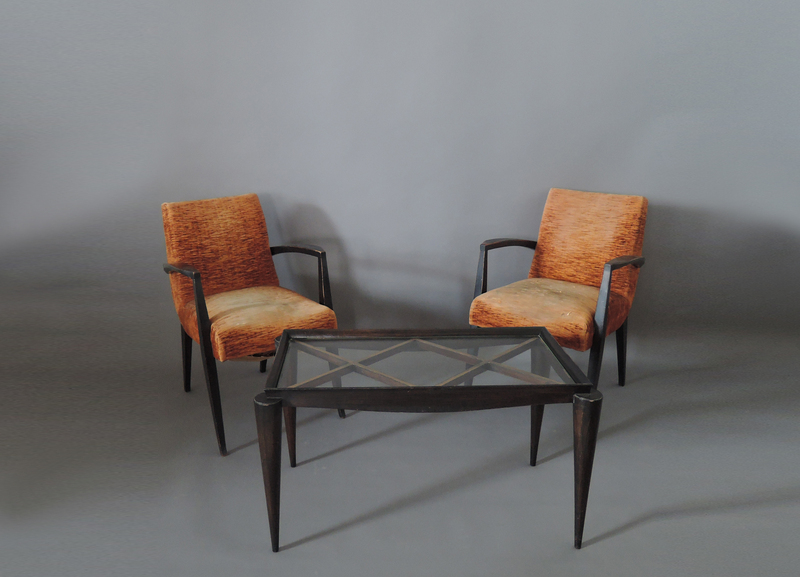 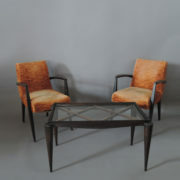 Two matching Maxime Old armchairs are available (not included in price – see last picture). 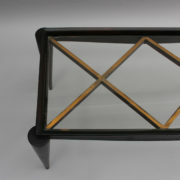 Good original condition, minor wear consistent with age and use. 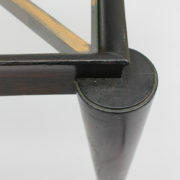 Nicks and dents on the original glass, replacement of the glass top as original (clear) included in price. 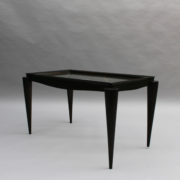 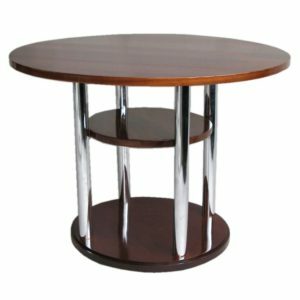 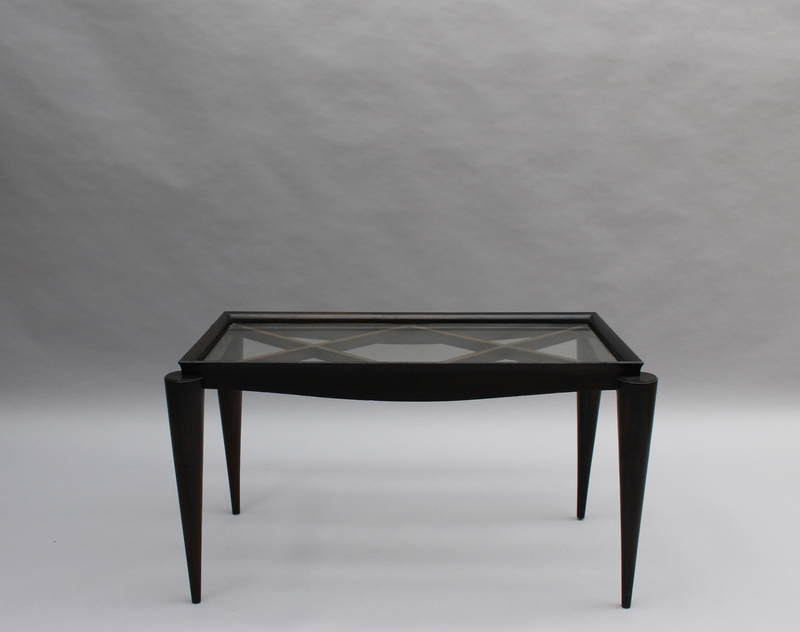 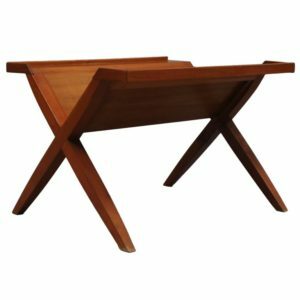 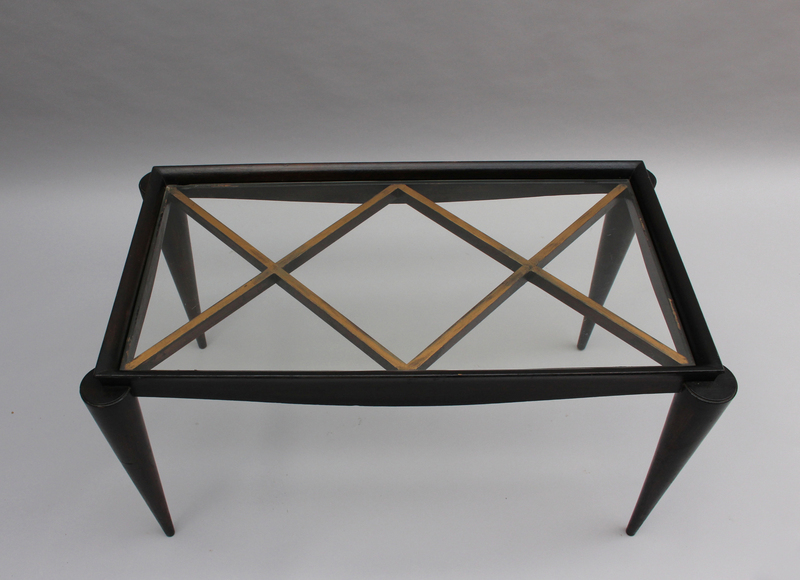 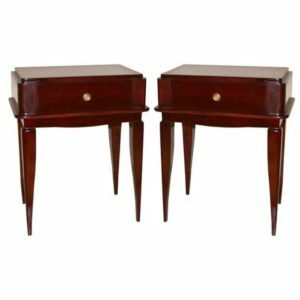 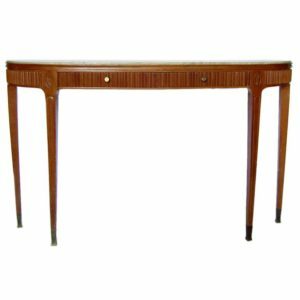 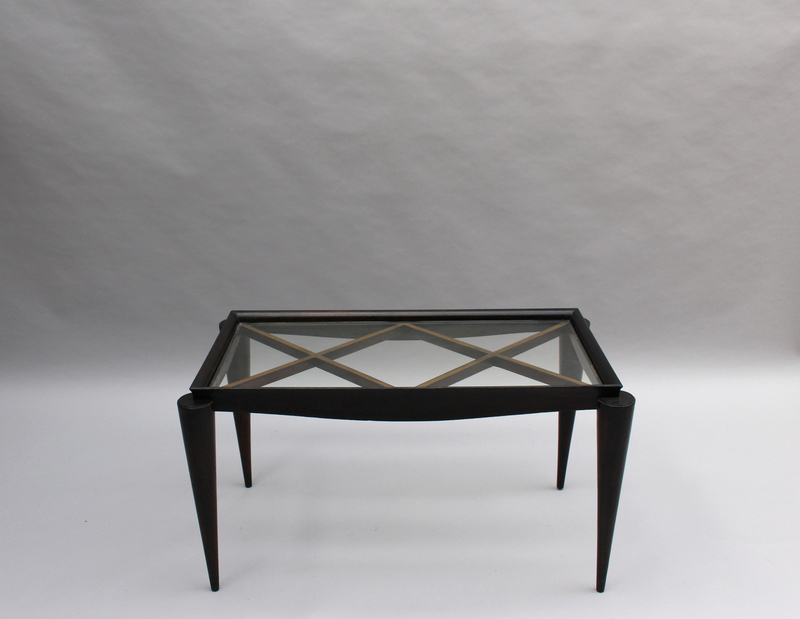 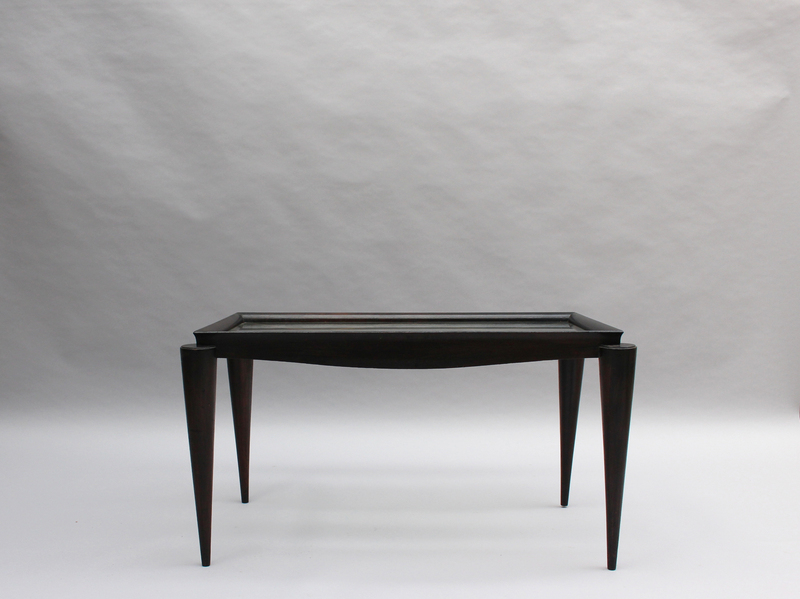 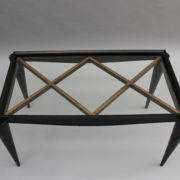 Soyez le premier à laisser votre avis sur “Fine French Art Deco Lacquered Coffee Table by Maxime Old” Annuler la réponse.